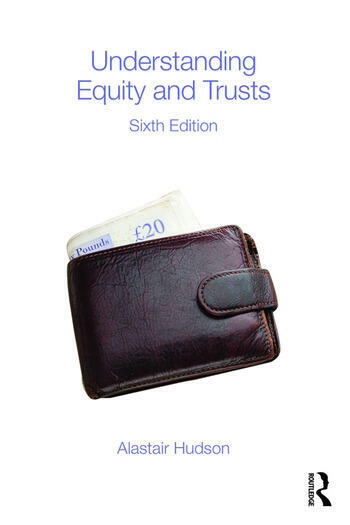 Understanding Equity & Trusts provides a clear, accessible and lively overview of the main themes in this dynamic area of the law. An ideal first point of entry to the subject or revision tool, this book will give you an invaluable grounding in all of the key principles of equity and the law of trusts. If you need help with trusts law, then this is the book for you. This book covers all of the topics that a student reader will encounter in any trusts law or equity course. The text deals with express trusts, resulting and constructive trusts, the duties of trustees, breach of trust and tracing, commercial uses of trusts, charities, equitable remedies and trusts of homes. The law of trusts is built on simple basic principles. The approach of this book is to lay foundations with an explanation of those principles before building towards the more complex issues which are the focus of examinations in this subject. The lively text includes a large number of straightforward examples to make the discussion of the general law more accessible. Alastair Hudson is Professor of Equity & Finance Law at the University of Exeter. He is a National Teaching Fellow, a Fellow of the Higher Education Academy, a Fellow of the Royal Society of Arts, and has been voted UK Law Teacher of the Year. He is the author of twenty books on various aspects of law which have been relied upon by the courts of numerous jurisdictions around the world.